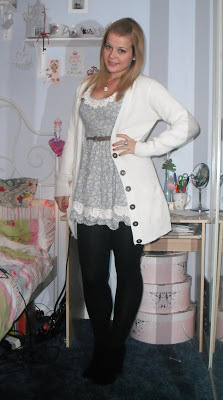 This is my outfit that I wore today. It’s one of my favs 🙂 So its all old season. I wore this outfit when I went for a spot of shopping in Milton Keynes. I love the big chunky cardi as its great for keeping warm in the winter, but I love wearing it over my little summer dress. 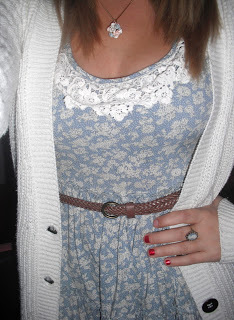 I like the crochet deatail around the neckline and the cute floral pattern.